18 years ago, Lucy Torres and Richard Gomez were blessed with a daughter, Juliana Gomez. Today, Juliana remains Lucy and Richard's unica hija. Lucy revealed in her recent Instagram post that Juliana didn't seem to share her parents' enthusiasm about having a sibling back then. The actress-turned-politician wrote, "When she was little, and we'd say our bedtime prayers together, I would ask her to help me pray for a baby brother or sister for her. She would listen intently, wide-eyed, nodding as if in agreement, then she would break into smile and say gently but firmly, 'Mama, dog na lang.'" But even though Juliana grew up as an only child, she never felt lonely, thanks to her wide circle of friends. In Lucy's exclusive interview with PEP.ph in August, the congresswoman said, "She's like her dad, e. She's really big on friends. I see the wisdom in that because through the years, the ones who have become like family to us are really from Richard's wide network of friends. He has [friends] from when he was small. He doesn't end friendships. I remember one time, maybe five years ago, she [Juliana] said, 'Mama, 'di ba I'm an only child? But look at my banyo, I have 11 toothbrushes!' Because all her female friends sleep over. I love it when the house is filled with her friends, so they take over the kitchen and they bake." 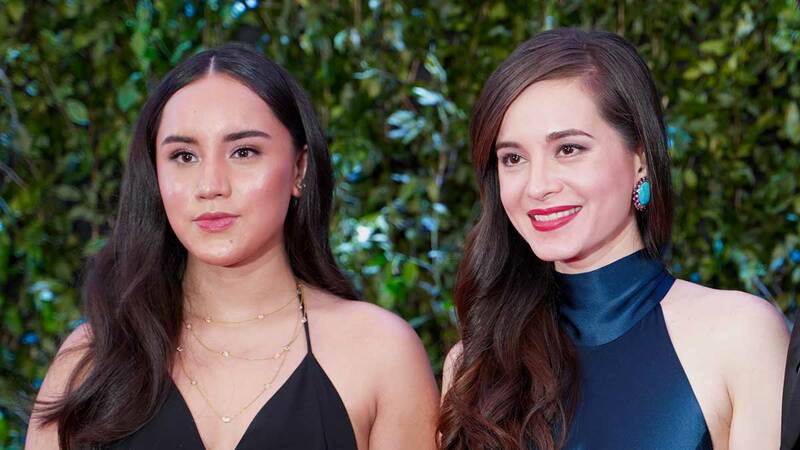 On September 8, Juliana turned 18 and held a disco-themed dance party at the Bench Tower in Bonifacio Global City and invited over 200 of her friends.